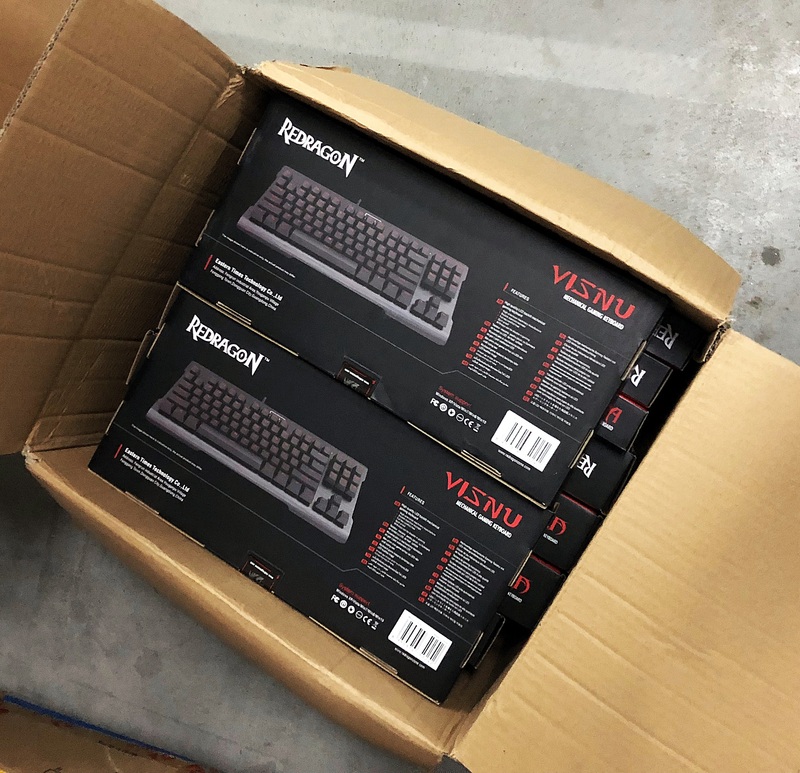 Thread: [Brand New] Redragon Visnu K561 (Blue Switches) Tenkeyless RGB Mechanical Gaming Keyboard. Item(s): Redragon Visnu K561 (Blue Switches) TKL RGB Mechanical Keyboard. Package includes: Complete box. Everything that comes in a new Redragon Visnu K561 package. Condition: BRAND NEW. The package is manufacturer sealed. Product reviews at Amazon and all over the web are excellent to say the least. Besides, Google and Youtube are always your friends. Warranty: A 3-days checking warranty period in my personal capacity, though no DOA, damaged, or disliked returns will be entertained. If a buyer requests, I can open the desired package and test the item to provide evidence of working condition beforehand but ONLY after confirmation/receipt of payment. Any International Warranty (if and where applicable) is completely your asset, the claiming of which would totally be your responsibility. Dealing method: H2H preferred. But can be shipped nationwide on buyer's risk and expense, and a full payment in advance via Bank Transfer or EasyPaisa/JazzCash in that case. Location: Karachi (Scheme 33, near New Rizvia Society & Kiran Hospital). Please note that if you wish to conclude a H2H deal, you'll either have to visit my place or a nearby vicinity in the aforementioned area. Contact method/details: SMS/WhatsApp on 0333-3113063 for immediate replies, or contact me via PM. If you wish to call for any queries, make sure you text me first and foremost along with your PG Username, and then I’ll get back to you soon enough. One unit sold. Multiple units up for grabs. Final unit up for grabs!